This piece was inspired by a lush spring. 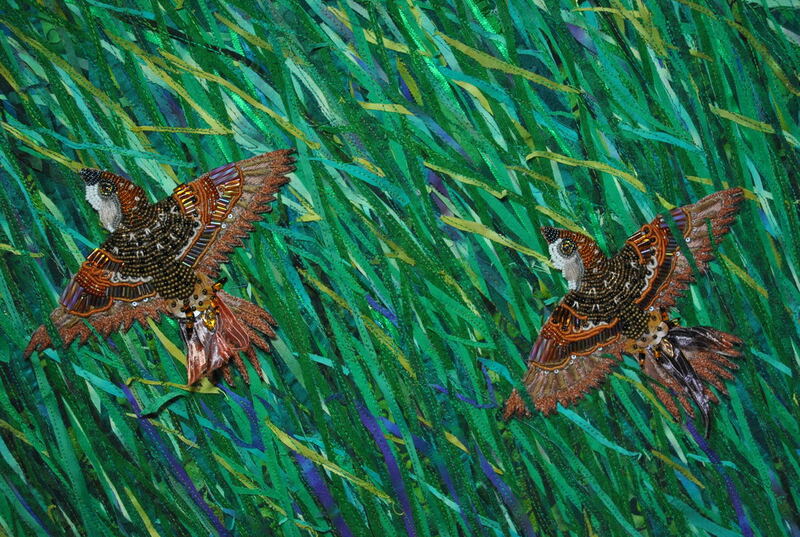 The birds were flying through the long meadow grasses. I love to shine a light on everyday moments and I wanted to celebrate the sparrows. The piece is constructed of raw edge fused strips of cotton, satin, silk, and rayon cloth. 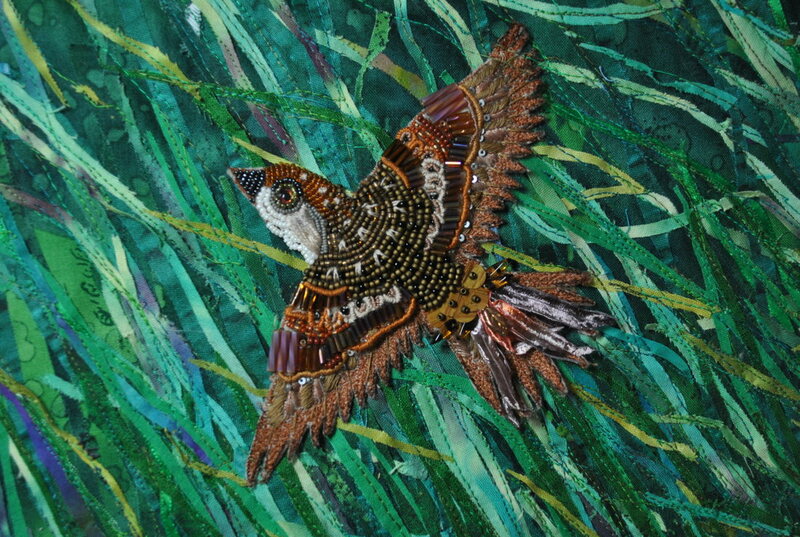 The birds are hand beaded and embroidered.